All pesticides must come with a label, which must follow a certain standards. The pesticide label is a legal document that contains information on how to use the pesticide, handle, store and dispose it, as well as directions to reduce risk to humans, animals and the environment. There are many reasons why you should read the pesticide label carefully. By reading the label you can make sure that you buy the right product, use the pesticide correctly and maximize pest control. Furthermore, the pesticide label contains information on the risks and hazards of using and handling the pesticide. If instructions are not followed, you might endanger yourself, other people, animals, wildlife and/or the environment. The label tells you what to do in case the product gets into your mouth, lungs, eyes or skin. You should also be aware to the fact that it is illegal to use pesticides in a manner which is inconsistent with the label. Commercial name – the name given by the manufacturer to the pesticide. The commercial name usually does not provide an indication of the active ingredient. Pesticides with different commercial names may contain the same active ingredient, at the same concentration. For example: Both Amistar 250 SC of Syngenta and Maxidor of Adama, are fungicides that contain 250 g/l Azoxystrobin. Sometimes, the same manufacturer gives different commercial names for the same pesticide, distributed in different countries. 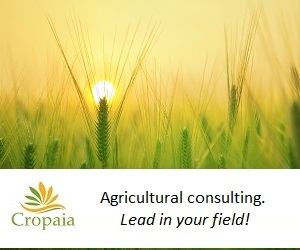 For example, Actara and Flagship, are both pesticides manufactured by Syngenta. Both contain 250g/kg thiamethoxam. Flagship is distributed in the US only. 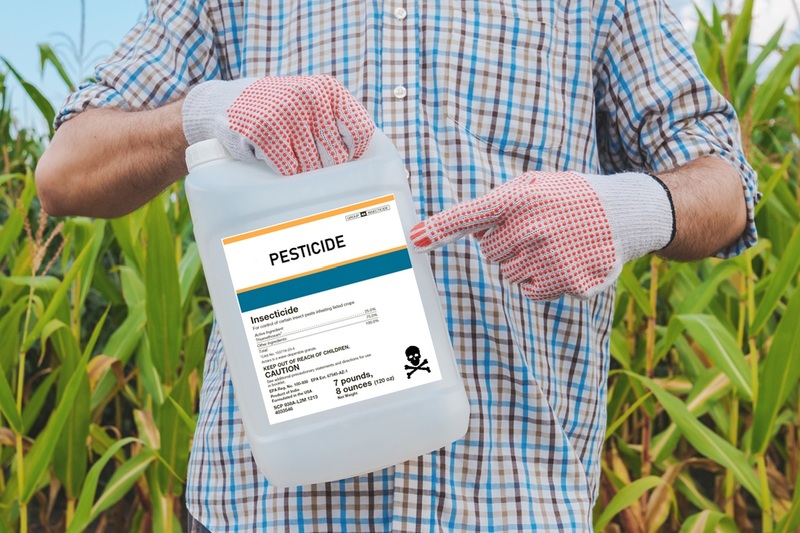 Ingredients and their concentration – the pesticide label includes a list of all the ingredients in the product and their concentration by weight or by volume. The active ingredient is the one responsible for the pest control. Examples of concentration units: 250 g/L, 25 g/kg, 25%. Commercial pesticide products can be compared by comparing their active ingredients. The pesticide may also contain inert ingredients, which are not responsible for the control of the pest, but make the product more soluble, easier to handle stable etc. Such inert materials include solvents, surfactants, stabilizers etc. 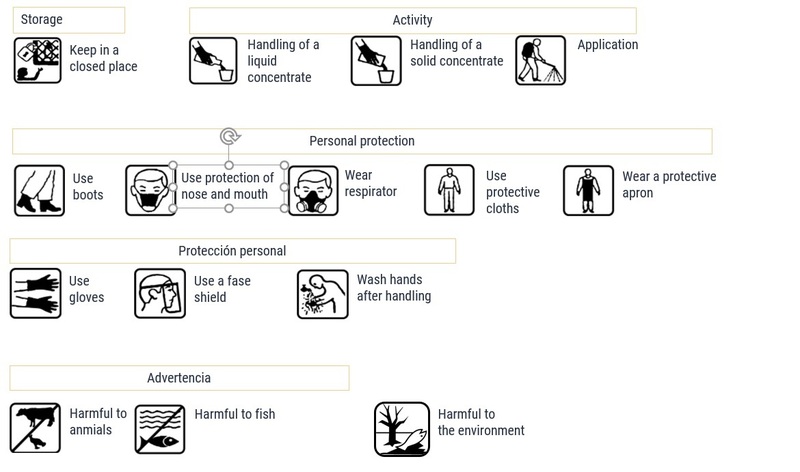 Mode of action classification symbol – The mode of action describes how the pesticide works. On the pesticide label it is indicated as a numerical number, or as a combination of a number and a letter. It is not recommended to repeatedly use pesticides of the same mode of action, as pests or the disease causing agent might develop resistance to the pesticide. The Mode of Action codes for fungicides were developed by the FRAC (Fungicide Resistance Action Committee). For example, the FRAC code of dicarboximidesis 2. Insecticides – usually IRAC codes (Insecticides Resistance Action Committee). For example, the IRAC code of Neonicotinoids is 4A. Herbicides – usually HRAC code (Herbicide Resistance Action Committee). HRAC code of Acetamides is K3. Type of formulation – the formulation refers to the commercial product. It is the mixture of materials that form the product. Pesticides are formulated in order to improve their usage, efficiency, handling, safety and storage. The type of formulation has operational implications – in storage, mixing and application, level of drift, distribution and calibration of spraying equipment. Formulation = Active Ingredients + Inert ingredients. The abbreviated name of the formulation will usually appear on the pesticide label. The pesticide label contains symbols, pictograms and colors. All have a meaning.